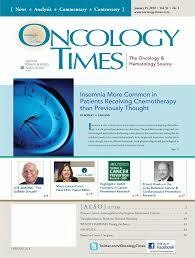 Oncology Times — Wendy S. Harpham, M.D. 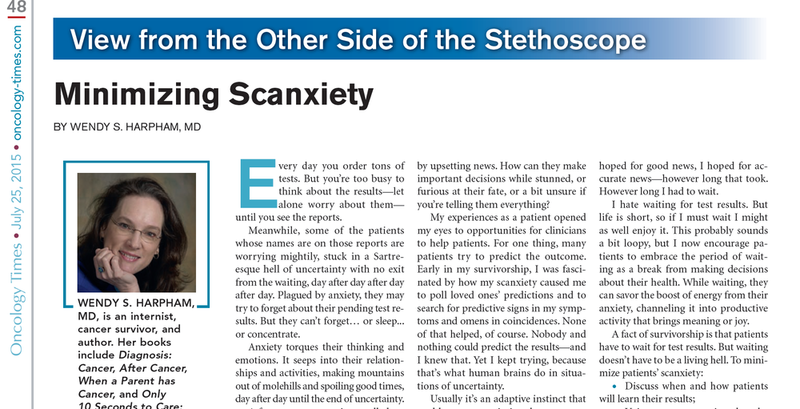 Patient Handout: Coping with Losing Things Insights and tips for patients. Helping Patients Cope with Losing Things How to help patients with cancer-related cognitive impairment who tell you they losing things all the time. Patients’ Hope for a Miracle A discussion of the issues involved in responding well to patients who say they are hoping for a miracle. Beautiful crutches This essay offers insights and tips for helping patients overcome practical and emotional obstacles to using aids (such as canes, memory aids, hearing aids) optimally. Patient Handout: Understanding Promising Unproven Cancer Therapies A few key facts about what those therapies offer—and don't offer—to help you determine whether to consider them as options for you. To Try or Not to Try This essay discusses the challenges of talking about unproven new therapies such as Car-T with patients who have no standard options. Doctors' Condolence Notes For clinicians, this essay explains why condolence notes are not passe. For families who never received a condolence note from their loved one's physician, this offers a few explanations. When Should Patients Stop Fighting? Healing answers for patients with advanced disease who ask, "When should I stop fighting?" Why Patients Don't Bounce Back What it means to be resilient after cancer. Your Genetic InheritanceA Patient Handout to help patients deal with the possibility that their cancer is hereditary. My Mutation Dr. Harpham shares what it was like to learn she carried a deleterious mutation.